MoviePass’ white-knuckle, edge-of-your-seat travails took yet another turn Monday, ensuring that the prestige drama about its behind-the-scenes turmoil will be that much more entertaining when we use our Stubs A-List subscriptions to see it. Last week, after the moviegoing subscription service temporarily blacked out due to literally having no money, the fledging company announced a price hike ($14.95/month, as opposed to its previous rate of $9.95/month) and limited access to blockbuster releases in their first two weeks. Add this to the recently announced surge pricing, and the service doesn’t quite have the shine it once did. 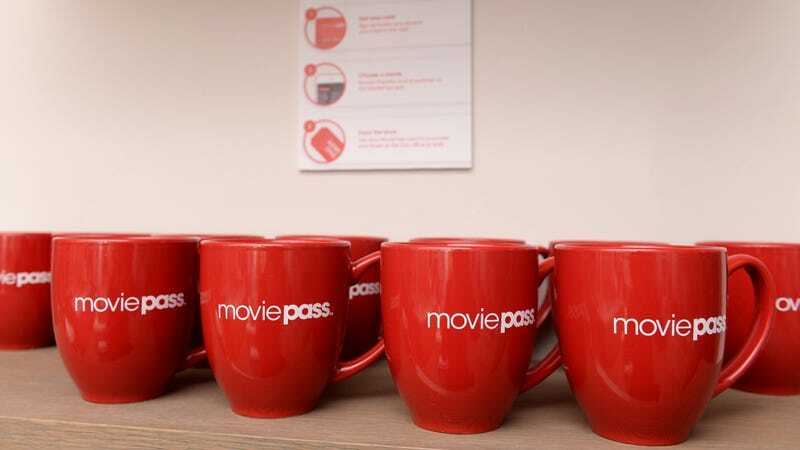 Like a protagonist in a movie you probably used MoviePass to see, however, the company remains open to plans so crazy they just might work. Variety reports that, due to customer dissatisfaction, the service will now not be raising the monthly subscription rate, but will, as a trade off, be limiting the amount of movies you can see per month to just three. “Because only 15 percent of MoviePass members see four or more movies a month, we expect that the new subscription model will have no impact whatsoever on over 85 percent of our subscribers,” MoviePass said in a press release. Those 15 percent, it implies, can sign up for AMC’s plan, which goes for $19.95 but allows access to three movies per week. MoviePass will also be giving subscribers up to a $5 discount for any additional movie tickets they buy, but whether this Hail Mary will work is yet to be seen. Sshares of Helios & Matheson, the data firm that owns MoviePass, were up 28 percent in early-morning trading at 9 cents a share, which is quite the improvement from the 1.5 cents it was going for a few weeks ago. The bad news? It’s still selling for 9 cents a share. Annual subscribers, it appears, won’t be affected by the new plan until their plan renews, so cram those movies in now, kids. We recommend Mission: Impossible - Fallout, which we promise the app will let you see.